Oh, how hard it is for the average Kansas City area newspaper reader to stay fully informed! The respective front pages of The Star and The New York Times brought that fact home very hard on Tuesday. I suppose that if you have all day to sit around and watch CNN, MSNBC and Fox News Channel — and have the patience to wait out the advertisements for the stories that always seem to be coming “right after the break” — then you can stay fairly well-informed by watching the tube. And, of course, you can follow national and international developments on any number of Web sites….But if you rely on The Star (and, by extension, kansascity.com) for your news, you have a problem. The problem is that The Star does a good job covering local stories — both breaking and enterprise (non-breaking) — but it no longer has a big enough “news hole” to provide adequate national and international coverage, and it places too high a premium on local news. Consider The Star’s Tuesday cover, which contained four stories, all written by Star staff members. The centerpiece was an interesting story about some towns in central Kansas that have had trouble giving away land for housing development. Another — a heartbreaker — followed up on Saturday’s U.S. 71 and Gregory crash that killed a 12-year-old boy. A third story, an expose of sorts, told how consumers are getting the shaft when buying underweight packages of frozen fish. The fourth story, the only one with a national perspective, previewed Friday’s national employment report. Each of those stories was well done and merited front-page placement. But not all of them needed to run Tuesday. Only one, the follow-up on the crash, absolutely had to run Tuesday. It was timely and keenly important to local readers. Any of the other three could have held a day or two. Another Times’ cover story was an excellent, in-depth follow-up on the Michigan militia screwballs, who, fortunately, were caught before they could wreak any havoc. Another story, reflecting The Times’ unparalleled skill at enterprise stories, chronicled the growing chasm between Afghanistan President Hamid Karzai and the Obama administration. Rounding out The Times’ front page were less timely stories about states overloaded on debt; friction between scientists and weathercasters over the extent of global warming; and a feature on a man who is believed to be the last remaining homeless person who regularly sleeps in Times Square. So, only one story on The Times’ front was truly local. I suggest The Star could and should have run on its front page either The Times’ full-length versions of the subway bombings or the Michigan militia story. Maybe both. Doing so would have given readers of The Star a less provincial, less insular perspective. The Star’s readers do not wear blinders; many are interested in — and want and deserve to know more about — national and international events and evolving situations. For the last few years, The Times has been casting itself more and more as a national paper, and when you look at Tuesday’s fronts side by side — The Star and The Times — they reflected almost totally different universes. With one paper, you got primarily the Missouri-Kansas perspective; with the other, you got the national and world pictures. In my opinion, The Star and other papers in that second tier — below The Times, the Wall Street Journal and, to a lesser extent, USA Today — would do better, both financially and for their stature in the public eye, to move to a better balance of local, national and international news. Most major metropolitan dailies have been pushing the “local, local, local” button for several years now, and I don’t think it has helped stanch the downward flow of circulation and ad sales. If I were in charge at The Star, I would change the mix. And, after a year, if the new formula didn’t work — if circulation and ad revenue continued to drop — I’d resign. Of course, I don’t have time to run The Star; I’ve got a blog to write. In eliminating the Lady Cornhuskers from the NCAA Women’s Basketball Tournament last night at Sprint Center, the Lady Wildcats of Kentucky turned out the lights prematurely on the prospect of a big couple of days for Downtown, Crown Center and Country Club Plaza hoteliers, retailers and merchants. The Kentucky victory shocked several thousand Nebraska fans who had traveled to Kansas City over the weekend, fully expecting to see their team — the top seed in the Kansas City Region — play in the regional finals Tuesday night and probably in the Final Four next weekend in San Antonio. Hopes dashed. It looked like that great team, which won 32 games this season, just ran out of energy right on the edge of the Power & Light District. As usual, our friends from a couple hundred miles up I-29 handled the loss with dignity and decorum. 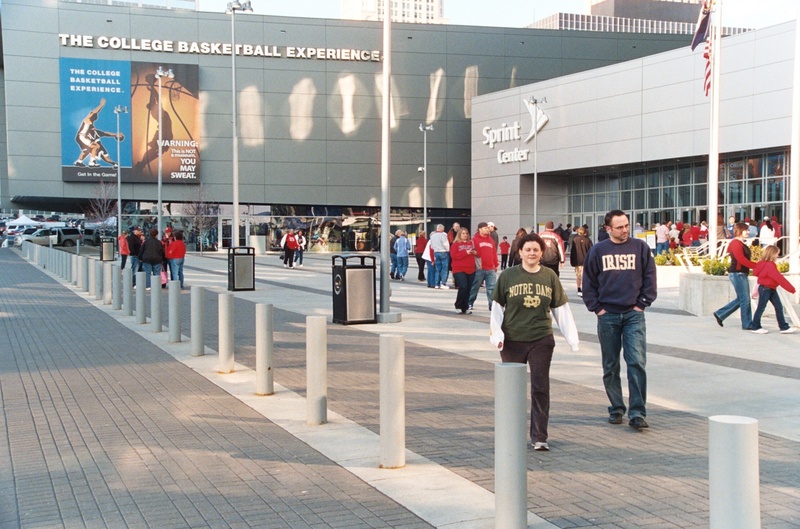 As 5,900 fans filed out of Sprint Center, I didn’t hear any cursing, whining or excuse-making. 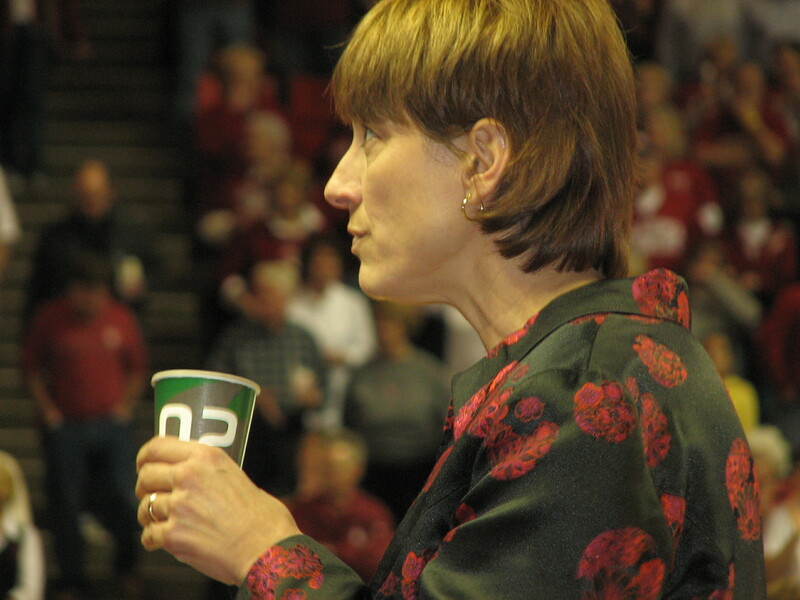 The Nebraskans just went out quietly into the night, heads high. In the evening’s first game, Oklahoma — which lost to Nebraska, in a late, regular-season game in Norman — defeated Notre Dame, and the Sooners now will play Kentucky in Tuesday’s regional finals. Oklahoma shipped in a couple of thousand fans — nothing to disregard — but the Sooner fans paled against a Nebraska contingent, which, I would say, numbered about 4,000. Most of those people have already left town as you read this. And very few, a few hundred at the most, I expect, will stay around for Tuesday night’s game. So, let’s consider the economic impact of the Nebraska loss. I’m not familiar with the Convention and Visitors Bureau’s visitor-expense formula, but I would say it’s reasonable to assume that those 4,000 fans would have spent about $500 more, each, if they had stayed in town until Wednesday morning. If that’s correct, that’s about $2 million that went unspent here in our town. Now that hurts. On the plus side, perhaps a couple thousand Boomer Sooner fans are — or will be — driving up I-35 from Oklahoma to see Tuesday’s game. Let’s hope so. That would help. But it won’t offset the boost that our beloved visitors from up north would have bestowed on our town. 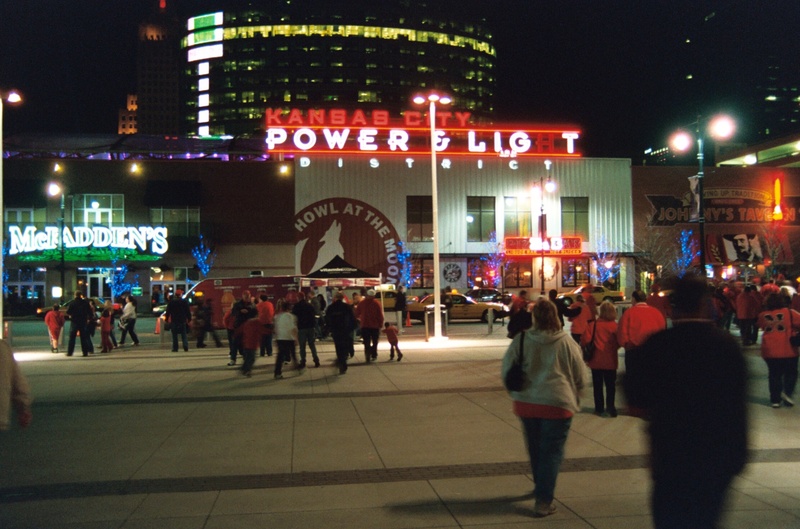 ….Last night marked my first visit to Sprint Center, although I’ve been to the Power & Light District several times. I don’t go to rock or country concerts any more, and I’m not a huge fan of men’s college basketball, so I just had not had a good reason to go to the arena. Belatedly, then, here are my initial observations on the center. — It’s a beautiful arena, well lighted, with good sight lines, good graphics and clear, proportionately sized video screens. — The seats, both permanent and removable, are very comfortable and plenty wide. — Proximity to the Power & Light District is an answer to prayers. — The ability to drape off the upper deck, which was done last night, makes the arena seem fuller when there’s a far-from capacity crowd. — There is not enough space between the rows, again including the rows of removable and permanent chairs. I’m 5-11, and my legs are not particularly long, but I felt like I was flying coach all night. — The air-conditioning was cranked way up, and many people put on their coats to bar against the cool breeze that seemed to permeate the building. — At some snack bars, the menus were written in about 16-point type in stand-up plastic holders sitting on the counter. For those of you who aren’t familiar with type sizes, 16 point is two short steps up from the 12-point type you’re reading now. In short, if you were more than two or three deep in line, you couldn’t read the menu without binoculars. — TV monitors are located around the concourse and at the concession stands, but, for some reason, only a few were tuned to ESPN, which was broadcasting the games being played at the arena. And none of the monitors that I saw had the sound on. Which was a blessing in that it avoided cacophony, but odd in another; it was more difficult to follow the action. We could, and by all rights should, have another big weekend coming up in Downtown Kansas City. Fresh off the Big 12 Conference men’s and women’s basketball tournaments in Kansas City the week before last, we now have the Women’s NCAA Regionals. The winners of the four regional tournaments around the country will advance to the women’s Final Four, being contested April 4 and 6 in San Antonio. Sprint Center will be the site of two games Sunday night — Oklahoma vs. Notre Dame and Nebraska vs. Kentucky. The winners will meet Tuesday night at Sprint Center in the regional finals. Although a lot of people may not realize it, this is a big deal for Kansas City. Not only is it an opportunity for area residents to see some great basketball, but it gives our city another chance to demonstrate that we can compete with other major Midwestern cities when it comes to sports and conventions. The linchpin to our competitiveness, of course, is the Power & Light District. Two weeks ago, when the Big 12 tournament was here, the district was awash with people. The bars and restaurants were jammed; the open-air, interior assembly area was jumping with live music; and people roamed the streets, especially Grand Boulevard, at least a block of which was blocked off to traffic to accommodate street hoops and other activities. It was a wonderful and exciting thing to behold. Of course, it helped immensely that K.U. and K-State, the two biggest draws in the region, marched through the early rounds and faced off in the final game. Nevertheless, the turnout and the cut-it-loose atmosphere demonstrated the power and importance of the Power & Light District. The Power & Light project, you’ll recall, was controversial before it was approved, because of its vast expense and scope and because it would displace several longstanding businesses and buildings. But Mayor Kay Barnes, who had come off as tentative in her first four-year term, boldly and resolutely pushed ahead, and the City Council ultimately approved a deal with the Cordish Company, of Baltimore, which had constructed similar districts in other cities. Even now, some people complain that the city gave Cordish too sweet a deal, and certainly the district is going to have to be very successful over a number of years to handily pay off the debt that the city incurred. I’m not one of those complaining. I’m just thrilled we’ve got it, and all of us should be proud to go Downtown and see an area that has the potential to light up Kansas City and make it throb with action and transaction. Do you remember what an utter dump Downtown was? It was appalling. I recall being with Bill Grigsby (I think it was) one time and him pointing out the crumbling sidewalk outside the Muehlebach Hotel at 12th and Baltimore. And that was the centerpiece of Downtown! And yet, I don’t know of many people who go to the district regularly, and I hear few people singing its praises. For many people, it’s just ho-hum, a nice trinket, but not a place that has special meaning. And, generally, they don’t go there. Perhaps, as my wife Patty says, people see it as somewhat sterile and lacking in local and unique flavor. (That is true, I admit, and it is for their uniqueness that I will always cherish and support places like Westport and the Plaza.) And perhaps many area residents see the Power & Light District as primarily as an attraction for out-of-town visitors, and they succumb to that old Kansas City bugaboo of being “afraid” to go Downtown out of fear for their safety or concern that they won’t be able to find close-in parking at a reasonable rate. Well, I don’t know the crime statistics, but, from personal experience, I’ve never had a problem Downtown in my 40-plus years here, and I don’t worry about it a bit. As for parking, I’ve always been a park-and-walker; if you’re patient and don’t mind trolling, you can usually find a place within a few blocks of Power & Light central. Also, there’s at least one multi-level garage on 13th, just off Grand, where you can park for $2 or $3. P.S. An article in The Star on Friday, March 26, noted that the 2010-2011 city budget will push the taxpayer subsidy for the Power & Light District from $8 million to $12 million “because the Downtown entertainment district has not met financial projections.” Wow. That’s a lot of money that, ideally, could be going for road and bridge repair and replacement. Nevertheless, I stand by my belief that Power & Light was a virtual necessity, not just an optional upgrade. Well, it’s only Day 2 of the blog, and already I have to pull anchor from my KC moorings and write about a topic of world-wide interest. (I’ll get back to KC tomorrow, with a post — positive — about the Power & Light District. ) Today, though, it’s about this pope….this pope. As the kids would preface it, OMG, this pope. As early as the 1950s, students had told church officials that Murphy was a predator. Nothing was done, of course, and, in fact, Murphy was put in charge of the school in 1960. Now, fast forward to 1996. Cardinal Joseph Ratzinger, who later became Pope Benedict, failed to respond to two letters about the case — which victims were stoking — from Milwaukee’s archbishop. At the time, Ratzinger presided over a Vatican office called the Congregation for the Doctrine of the Faith, which decides whether accused priests should be tried within the church system or defrocked. Well, nothing ventured, nothing gained. And — wouldn’t you know it? — the kindly cardinal accommodated him. Murphy, who, in the 1990s, was working in parishes and schools in the Diocese of Superior, in northern Wisconsin, died in September 1998 at age 72. It was recent news out of Germany, though, that first placed the shell concealing the pill of sexual abuse before Benedict. The pope’s role has been called into focus because, as Archbishop of Munich in 1980, Ratzinger allowed a priest accused of molesting boys to seek therapy, rather than suspend and discipline him, or perhaps turn him over to authorities. A short time later, a deputy of Ratzinger permitted the priest to return to full pastoral duties. Six years later, the priest was convicted of sexually abusing children. It wasn’t until earlier this month that the church relieved the priest, Peter Hullermann, of his pastoral duties. If he would like to try to revive the church — give it a semblance of a fresh start — the pope should say “adios.” Do you hear the voices, Papa? It’s time to leave the building. Hello, everyone. With this first post, I’m off and running — slowly — in my role as a cub blogger. As you can see from the “about” page, I had a long career with The Kansas City Star, and I remain keenly interested in journalism. For almost all of my 37 years at The Star, I covered or edited local news. Correspondingly, I have long been a cheerleader for city and the metro area. While I was a reporter, of course, I couldn’t openly be a cheerleader — had to stay objective, you know — but I have always wanted my city and the Kansas City area as a whole to prosper. So, in these posts, frequently you will find me commenting on civic, political and quality-of-life matters as they relate to the metro area, more often than not about Kansas City, where I have lived since I left my hometown of Louisville, KY, in 1969. Naturally, I’ll also be commenting on the newspaper business, which, as you are well aware, has atrophied significantly during the last two decades. Ever since I started at The Star more than 40 years ago, there have been disgruntled former Star employees who have tried to make a living by bashing the paper. That began, to the best of my knowledge, with the late and legendary Tom Leathers and his Squire weekly and continues today with blogger and erstwhile Star entertainment columnist Hearne Christopher. Fortunately, I was able to leave the paper on my own terms, before The Star (and many other newspapers) began laying off employees, so I have no ax to grind. I hope that you will find my observations about The Star and other papers, including The New York Times (to which I subscribe), to be reflective and acid free. The Star, along with many other major metropolitan papers, has fallen in terms of circulation, advertising, breadth of coverage and writing quality. Nevertheless, it continues to serve an important role in the region; it remains the biggest and best news-gathering organization in the metro area, and hundreds of thousands of readers rely on it as their primary information source. So, it is in the best interests of the Kansas City area that The Star at least stabilizes and, ideally, mounts a strong comeback, either as a print or electronic product, or both. In these posts, I will try to avoid shooting from the hip and being pedantic. (If you think I veer into that, let me know.) Instead, I will try to bring personality and perspective to the writing. It takes an ego, of course, to throw your material out there for public consumption and say, so to speak, “Here, Kansas City, here’s your daily (or however often) dose of information and commentary that will make you smarter.” I don’t want to come off that way. I’ve been around long enough and had enough setbacks to know that I don’t know very much and that I’m not as smart as I once thought I was. But I do think I can write in entertaining and somewhat informative fashion. I hope you like it. Finally, let me hear from you…And away we go!